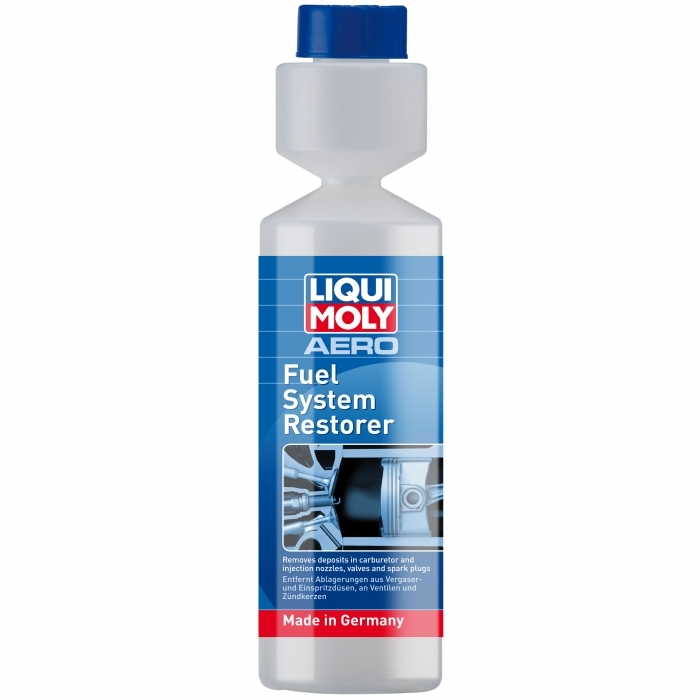 Specially developed by LIQUI MOLY for aircraft piston engines (carburetor and injection systems) and for ultralight 4-stroke engines. For adding to the fuel, whether AVGAS, MOGAS or Super+. The rapid changes in the air pressure mean that mixture formation in aircraft engines can only ever be approximate. Different pilots treat the fuel-air ratio in different ways with the “red lever”. This often results in the build-up of carbon and other deposits in the intake system, the intake valve, the injection nozzles, the spark plugs and even bottom of the piston. * Based on residence in South Africa. Tax rates for other countries will be calculated at the checkout. Price exclusive of tax: ZAR496.45.